In this comprehensive, three-day program that combines hands-on workshops and lectures, you will learn how to create superior anterior and posterior restorations that will be versatile, fully functional and predictable. This course will expose all participants, regardless of professional level of expertise, to the newest concepts, materials and techniques for aesthetic treatment modalities. 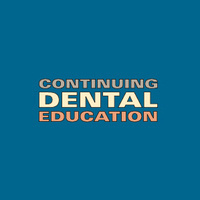 This intensive, fast-paced course is designed for both beginning and advanced clinicians. Credits: This activity is designated for 23 units of continuing education credit. Program is limited to 24 participants; includes continental breakfast and lunch each day. Dino S. Javaheri, DMD, is a well-known leader in the field of dentistry. A sought after speaker, he has been recognized as a leader in continuing education for the past 15 years. He is the course director for several esthetic and implant programs at Pacific. Dr. Javaheri has written numerous articles for leading dental journals. Michael Jacobs, DDS, BS, MS, is currently the director of the dental general practice residency program at the Department of Veterans’ Affairs Medical Center in San Francisco. He is a diplomate of the American Board of Prosthodontics and a fellow of the American College of Prosthodontists. Kian Farzaneh, DDS, OMFS, is an accomplished oral and maxillofacial surgeon, caring for people in Danville and the greater Bay Area. He is currently on staff at the John Muir Medical Center, and lectures and offers continuing education to colleagues in California. He graduated with honors from the Dugoni School of Dentistry in 1999.